At the top of this page is a little note from Sound and Light man, Carl Frisch. 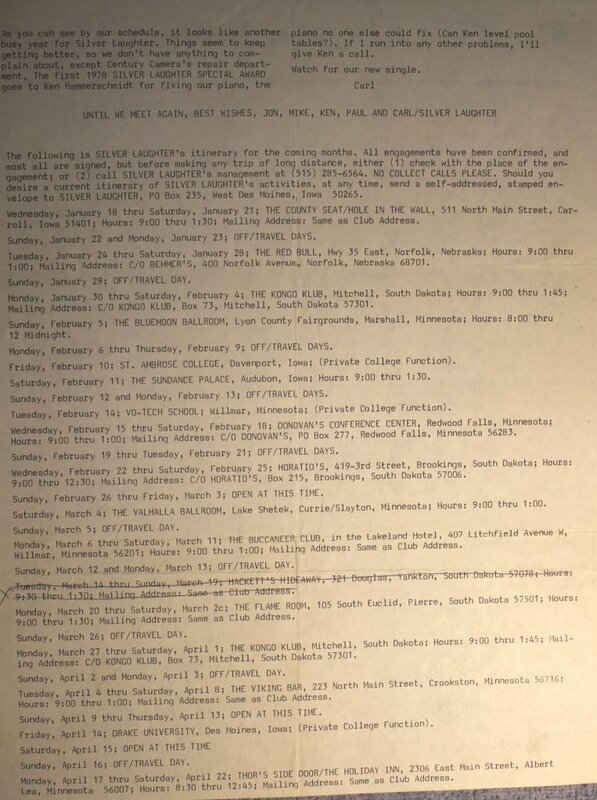 The rest of the page is a LONG list of upcoming events for the first few months of 1978 showing that Silver Laughter was VERY busy. Manager, Art Stenstrom, wrote these up on a typewriter in a time that was way before word processing would have been available. And it would have made setting this up so much easier! It also accounts for the mistakes that were on page one! It may have even been before whiteout!